Technology is essential, but not sufficient. We need good land use planning and urban design to create equitable, accessible and resilient communities. 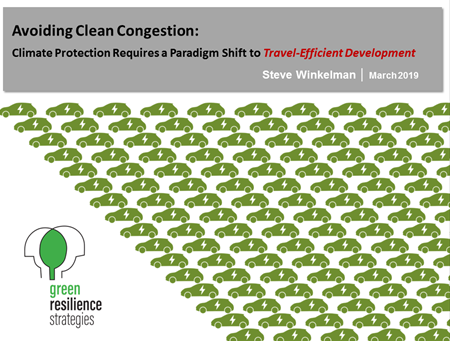 … if we rely only on vehicle technology to meet climate goals. We need electric vehicles AND walkable, transit-oriented communities. And those communities will be more accessible, equitable and resilient. Read the blog and watch the video.